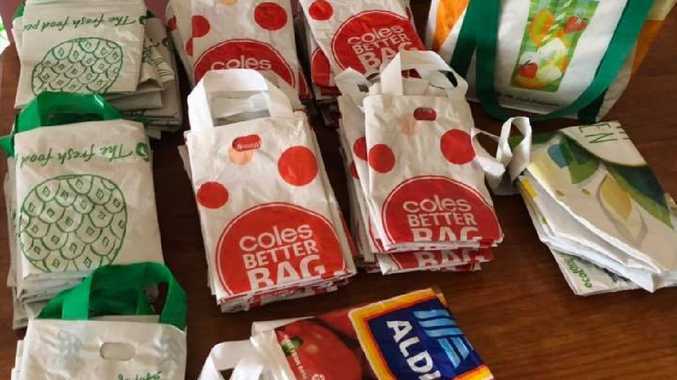 The supermarket plastic bag ban is officially here, and Aussie kitchens, pantries and car boots are filling up with an excess of tough red, green and white bags. Rolled up, scrunched, folded or tied in a knot, no one quite knows what to do with these bags that, while saving the planet, are destroying our sanity. 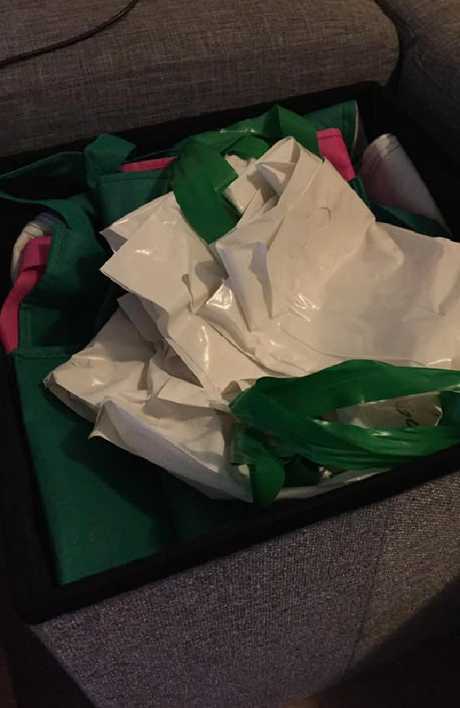 One woman reached out on a Facebook group for help, asking for suggestions on taming her wild collection of plastic bags. She put out a call for suggestions on how to keep her vast collection of Coles, Woolies and Aldi bags under control. 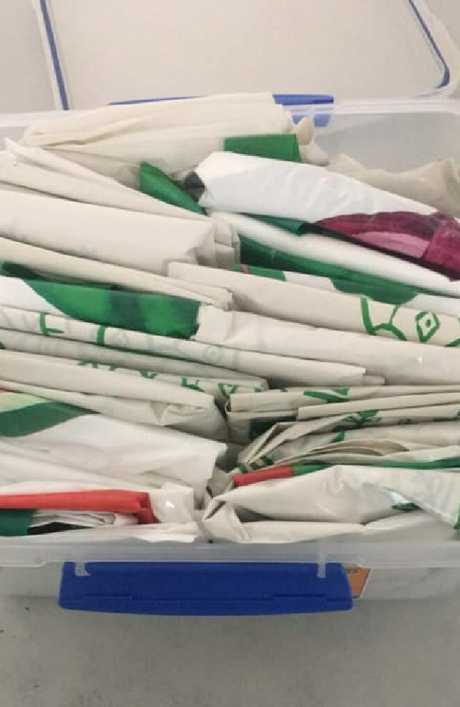 "I just folded 56 bags and I don't know how to store (them) so they don't get all mixed up!" she wrote. Changing habits is hard, so in an effort to switch to reusable plastic bags, the existing stash of bags at home can easily be forgotten. It's easy to think: "Why not spend the extra 15 cents on a new bag instead of running home to pick up the ones I forgot?" 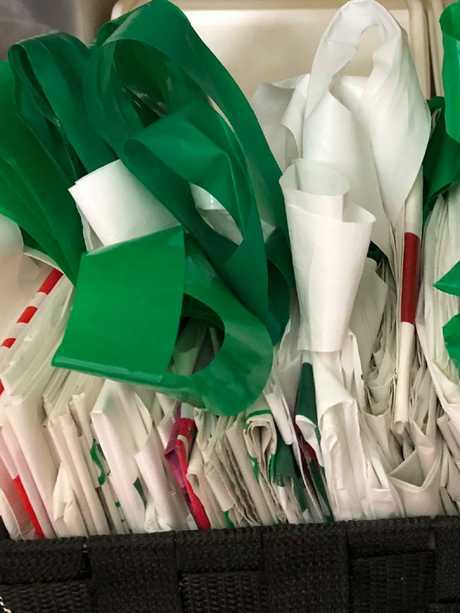 People from across the country chipped in their thoughts on storing the grocery bags, forgetting to take them a shopping trip, or tripping over them when you get home. This is probably the most inventive idea for bag storage. 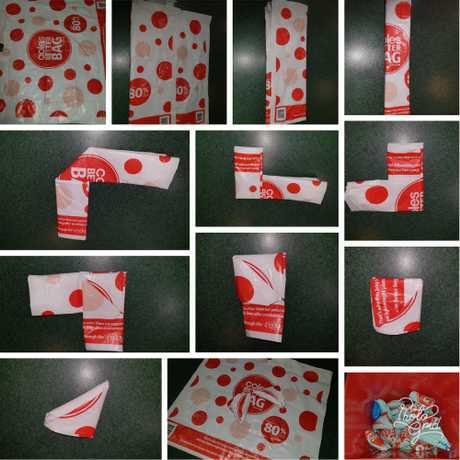 Think of a roll of bags that continuously dispenses from inside an old recycled container - similar to a tissue box. 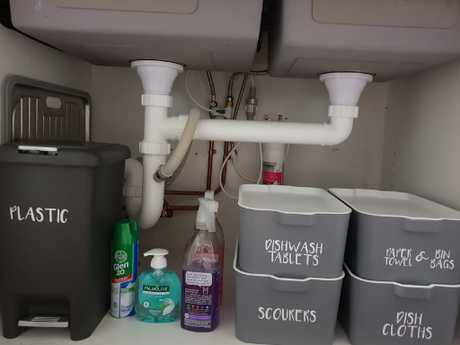 By folding and overlapping your shopping bags into a large roll, and dropping that into a container such as a milk carton, you can easily dispense your plastic bags whenever you need. 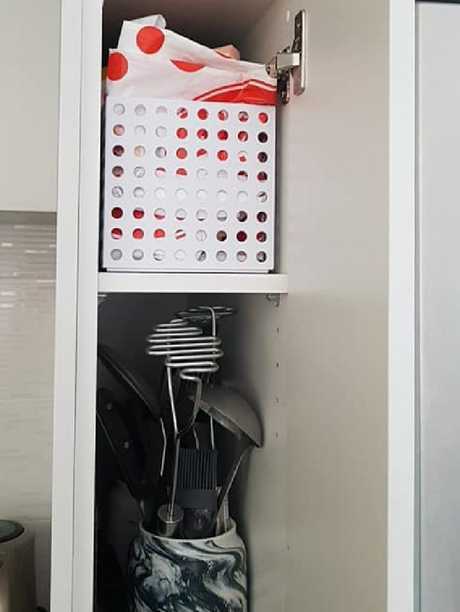 While many described this handy trick as "genius", others claimed it was a lot of trouble to go to when they had a perfectly good drawer to cram them into. "I scrunch them all into one bag, I honestly don't have the patience or time to do anything else with them," one user wrote. A couple of commenters suggested packing your reusable bags up to scatter them in different places, "so you don't get caught out". "I keep some in my car, some just by my front door, and some in the house," one person wrote. "That way I never forget!" Another person created a handy step-by-step guide to folding her shopping bags into tiny, tight triangles which are easily stashed anywhere. "This is my method. I store them in a big bread bin, there's about 50 in there," she said. "Plus they are small enough to pop a few in your handbag." Someone else suggested using pencil cases to store tightly rolled bags in, before slipping them into different cars, rooms, drawers or handbags. "They fitted in very nicely and looked great," the woman said. One practical shopper said he did the same. "So I keep a stash in a few places so I don't get caught out. I keep some in my car, some just by my front door and some in the house. That way I never forget!" he said. Having a single dedicated area for your bags can also make it easier to locate them when you need a handful before a shopping trip. One woman claimed she stashed her bags inside a $39 Kmart ottoman, with in-built storage capacity. "I use this storage ottoman from Kmart and put all my bags inside of it," she said. 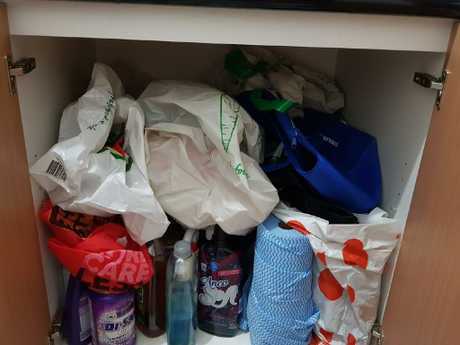 Another said while she doesn't fold or sort her bags, she stores them all in a "bin under my sink". This tip is for all the neat freaks out there. Fold your bags into quartered widths and quartered lengths, flattening them out and slotting them into a long, slim basket. "This is just how I keep them tidy … I just grab some out of the container when I go shopping," a woman suggested. For just a few dollars, Kmart sells these small storage tubs to get your stack on. People loved the idea of creating a shopping bag filing system and said they were keen to try it out. "I didn't know folding shopping bags is a thing. 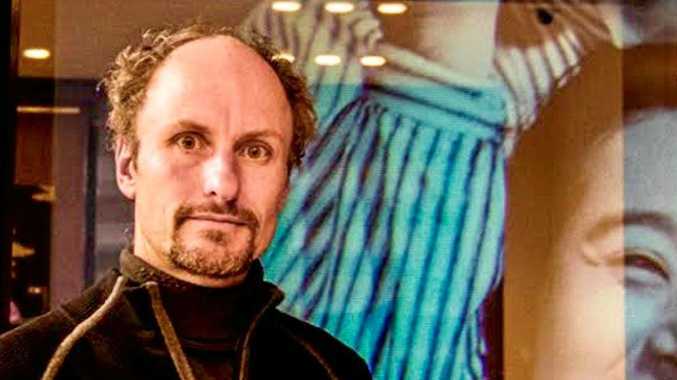 Mine just get scrunched in one bag and stay in the car," one woman wrote. Another woman said she stacked "over 100 in this easy lid clip container". "I store a dozen in the car and if any get damaged I then replace them," she wrote. Another savvy shopper said she always keeps her shopping bags in her car, so she never gets caught out on an impromptu supermarket visit. "I fold mine up and them in the cooler bags," she said, referring to the larger, insulated zippered bags from supermarkets. "Then (I put them) in my boot! I paid money for these bags, so now I'm going to use them!!". 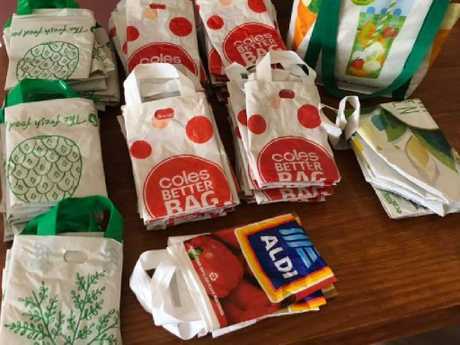 While the reusable bags were only 15 cents, it "added up over time, it works out to be a lot," she said. Another commenter agreed that the old "scrunch and stuff" in the car boot was the way to go. "I scrunch mine into another bag and shove in boot for next time," she said. You can also roll up your bags and seal them in zip lock bags for easy access. Some people said they prefer to fold up four or five of the reusable bags and seal them in a sandwich zip lock bag which they can whip out when needed. "They stay flat and then just take how ever many I need for the trip," one mum wrote. How do you store your reusable bags? Let us know in the comments below!